Do you spend time moving things around in the pantry to find what you’re looking for? You may add something to your grocery list only to discover it was in the pantry all along. So frustrating! 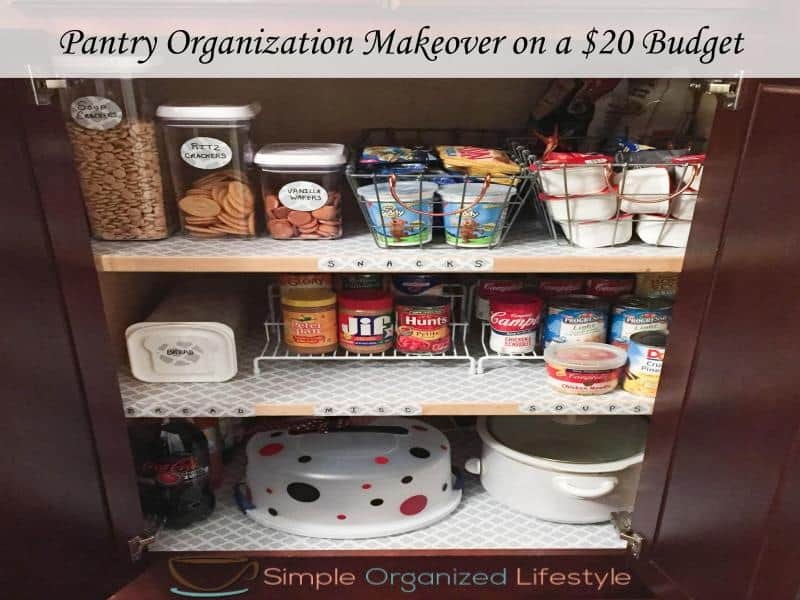 I decided to tackle pantry organization on a $20.00 budget. It took about two hours total, and was a pretty simple process from start to finish. I enjoy a new organized space but always challenge myself to a budget friendly makeover. The egg carton to hold condiments caught my attention in this image. What a great, cheap, organization hack! Not only that, it helps to keep the ingredients from separating when you’re ready to use them. Great idea! We have three shelves. One is used for snacks and crackers. The middle shelf is used for bread and canned goods. The space on the bottom shelf is used for some appliance and container storage. First, I took everything out and spread it out on the kitchen counter. 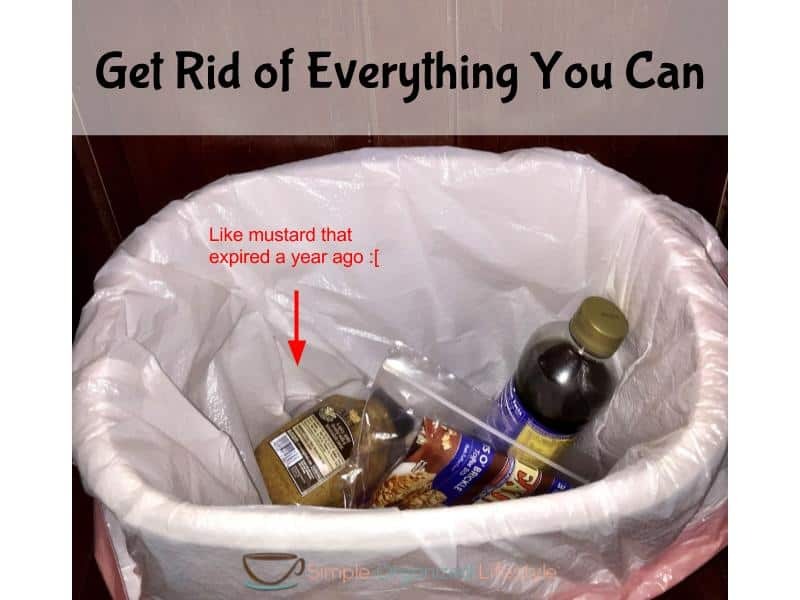 I tossed expired canned goods and stale chips, getting rid of everything that was no longer edible. Next, I sorted like items. I measured the shelf liner and cut it in three pieces to fit. I used some of the leftover to make labels, with simple cut out circles & a sharpie. I’m obsessed with OXO containers so I already had several of those for snack items. I put everything back on the shelves and was pleased with the result for a quick pantry makeover project that did not blow our budget. It helps by saving time when I need to find things quick. Any tips or tricks for keeping the pantry space organized? Feel free to share in the comments! Our pantry and fridge is an absolute mess right now! I’m usually such a clean freak, but I lose all motivation when it comes to the fridge and pantry area. 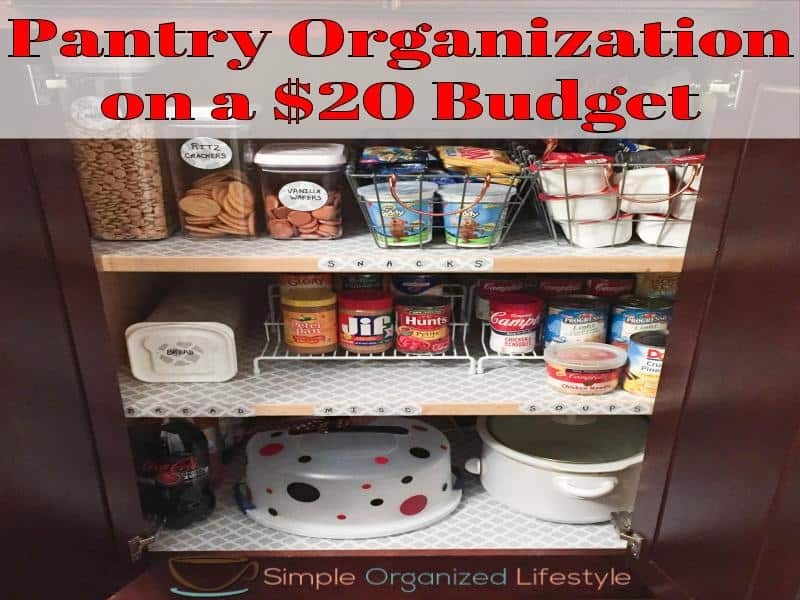 This sounds like a great way to organize on a budget!